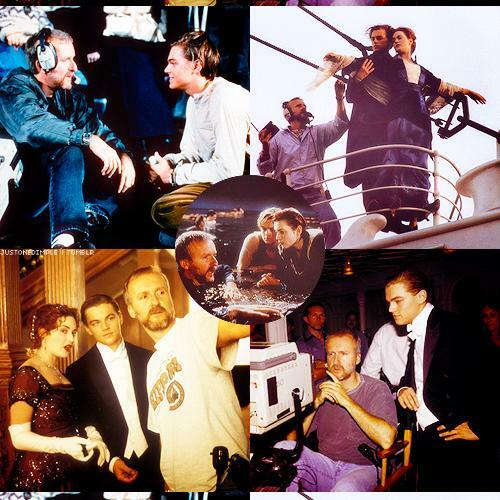 Titanic ~ Behind The Scenes. . Wallpaper and background images in the Titanic club tagged: jack dawson rose dewitt bukater 1997 james cameron behin the scenes.